Nothing embodies earth energy like the earth beneath our feet. Dirts, dusts, sands, and salts have been used in magical practices since the beginning of time. Ours are harvested and created with the utmost of attention and care. All prices include shipping. 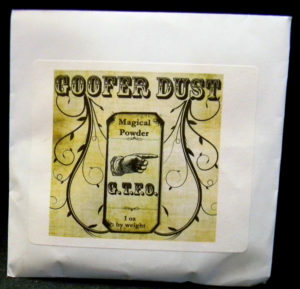 Graveyard Dirt – 2 oz for $8.00. 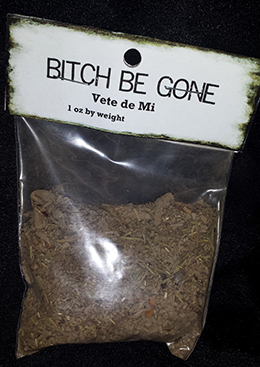 Use Graveyard Dirt for protection and to create endings and peaceful resolution to situations. Our Graveyard Dirt is harvested with permission every Samhain at midnight from a 19th century cemetery. 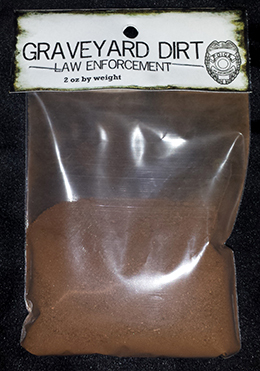 Law Enforcement Graveyard Dirt – 2 oz for $10.00. Same as above, but from the grave of “a good and honest law enforcement officer.” Know how hard those are to find? Our dead guy made us wait for SIX YEARS before he let us harvest some of his dirt. 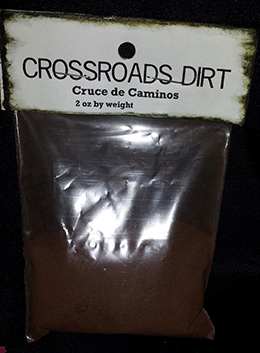 Crossroads Dirt – 2 oz for $8.00. Use Crossroads Dirt to move easily between the worlds (a crossroads is at once every place and no place) and to make decisions. The use of Crossroads Dirt allows you to create your crossroads for magical work anywhere. Our Crossroads Dirt is taken from a crossroads historically used by the Pony Express to get to the Grizzly Flats, CA Wells Fargo Office. 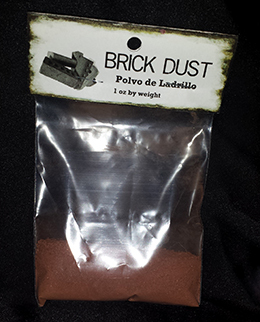 Red Brick Dust – 1 oz for $10.00. This dust is hand-milled from historical clay brick that are more than 100 years old. Use for extreme protection and to create boundaries. 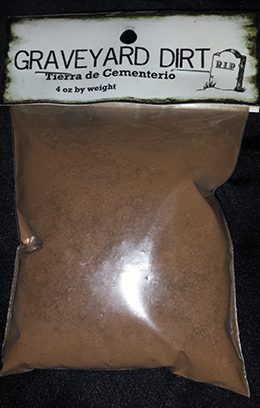 Cascarilla – 2 oz for $8.00. 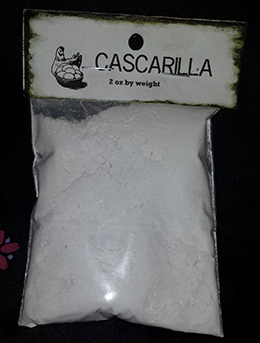 Our hand ground cascarilla (powdered egg shells) is perfect for protection and purification, or it can be packed down to make cascarilla chalk. 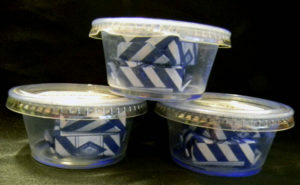 Blue Anil – 1 oz for $8.00. Blue Anil is great for drawing in luck, especially in finances, for purification, and for uncrossing. 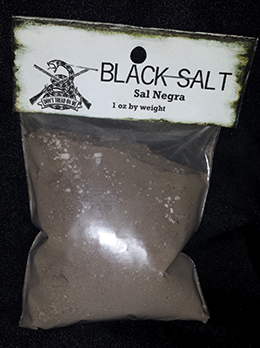 Black Salt – 1 oz for $10.00. Our Black Salt is hand mixed from graveyard dirt from a 19th century local cemetery, ashes harvested from the store owners’ own hearth, and the finest sea salt. This highly protective salt is excellent for creating protective perimeters. 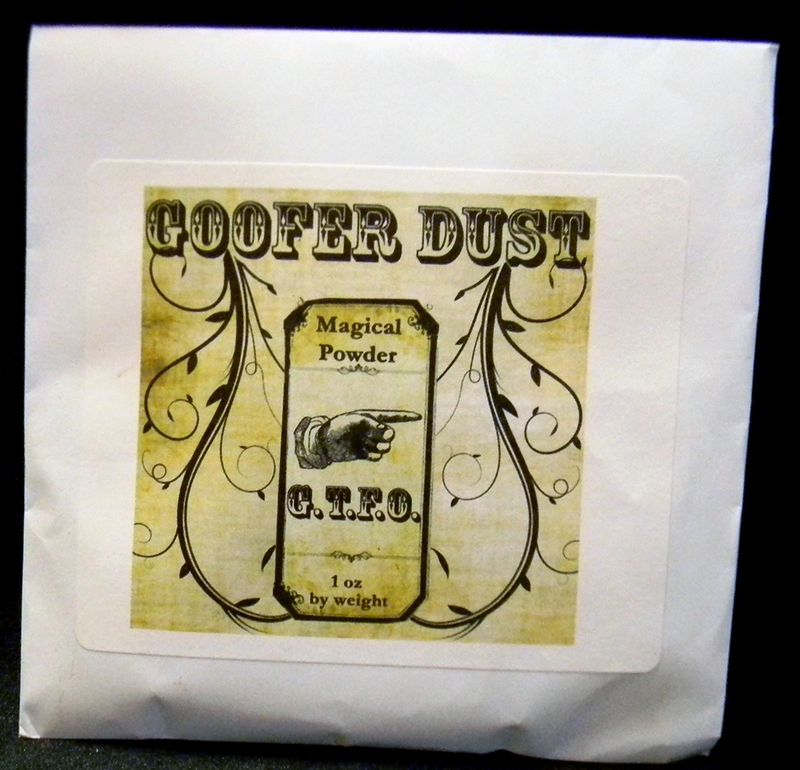 Goofer Dust – 1 oz for $13.00. As one of my mentors put it, “There is no benevolent use for Goofer Dust.” This is straight out for forcefully propelling someone out of your life and off your radar. This stuff is so strong that the shop owners literally almost a divorce the week they processed it because they forgot to wear gloves while packaging it. This substance is extremely caustic and should be handled with great care. 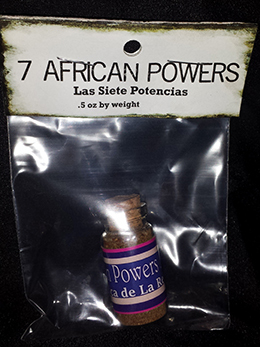 7 African Powers – .5 oz for $10.00. This traditional recipe blends frankincense, myrrh, cinnamon, sage, sandalwood, and dragon’s blood to bring love, money, luck, health, protection, power, and success..